Since it's a holiday weekend and I have Monday off, we drove to the east side of the state to spend some time with family. 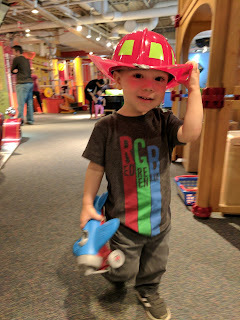 We visited the Ann Arbor Hands On Museum, which is great for kids. 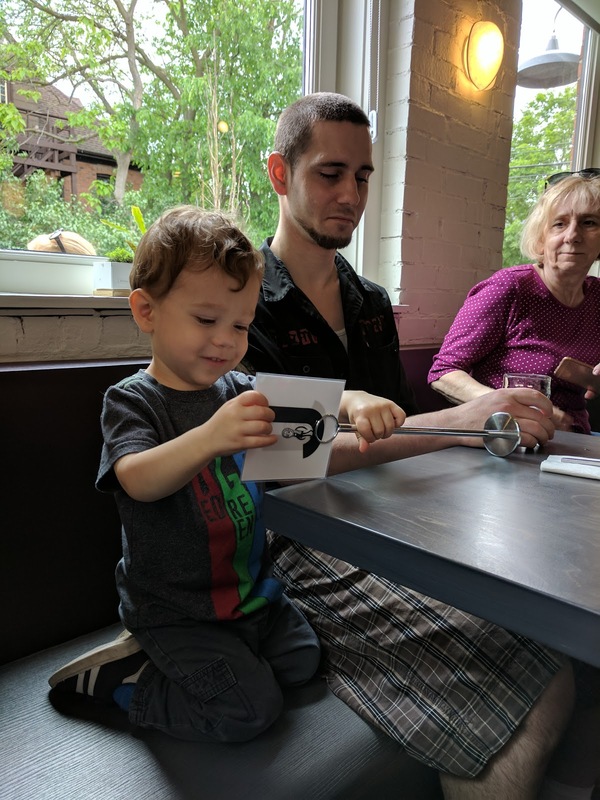 We were able to find a quiet restaurant so the little one could take a break from all the excitement and eat some lunch. 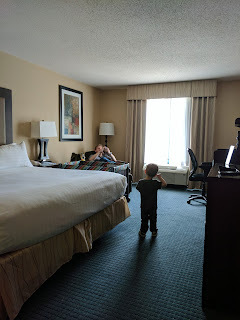 He had a lot of fun in the hotel room as well. He really enjoys going on new adventures.